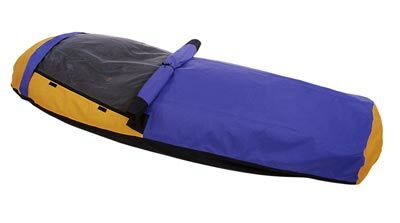 There are far too many bivy sacks out there for a comprehensive round-up of them all. So this post highlights a few bivies in each category. 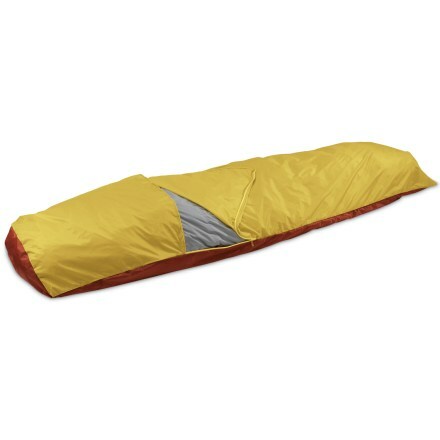 You can get a bivy sack that weighs 1 pound or less. You just need to sacrifice weatherproofness and durability in exchange for the weight savings. The lightest weight versions feature water-resistant, instead of waterproof, fabrics. Some do not fully seal around the face and instead feature a drawstring or mesh netting. These include the MSR E-Bivy (pictured, 10 ounces, $80), Mountain Hardwear Conduit Bivy (14 ounces, $135), Black Diamond Twilight Bivy (10 ounces, $150), and REI Minimialist (15 ounces, $85). The few waterproof ultralight bivy sacks include the Marmot Alpinist (15 ounces, $149) and Sierra Designs Baffin Bivy (16 ounces, $89). This style features one or two short poles above the head, providing a modicum of head room (no damp fabric on the face) and improved ventilation. Outdoor Research makes several hooped bivies (~$200, 2-pound range), though the one I'm most intrigued by at the moment is the new Mountain Hardwear Ethereal bivy (25 ounces, $220), which features an appealing pole configuration (pictured). These are what you carry for sleeping out in extreme conditions, such as rocky cold climbing adventures or burly winter camping. They feature heavy, tear-resistant material which generally bumps up the weight into the 2-pound (and beyond) range. In this category, I quite like many of the innovative Integral Designs bivy sacks, including the South Col (31 ounces, $225) and Salathe (pictured, 33 ounces, $225). (Integral Designs also makes some great ultralight options as well). Or you could spring for the poled Black Diamond Tripod Bivy (2 pounds, 10 ounces; $300), which gives you extreme durability and head room to boot.